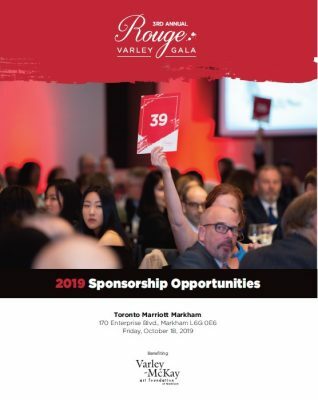 Support Rouge: Varley Gala and help the Varley Art Gallery of Markham continue to thrive. Your financial assistance will go a long way in helping us reach our goal to support the Varley Art Gallery and its role in creative expression in Markham and beyond. 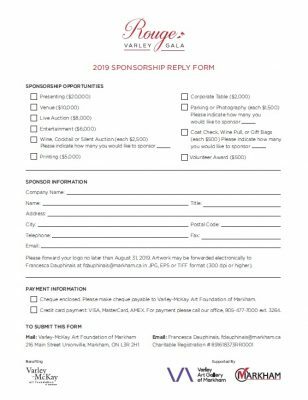 This is a great opportunity for your company to contribute to your community’s artistic development and growth and reach your target audience.